On the First Friday of November, we will be releasing our next Experimental Spirit (X-5: 100% Corn Whiskey), but continuing our 4th quarter double release plan, we will also be launching our second ever batch of bourbon! Monon Bell Bourbon, 124th Classic edition boasts a touch more corn and slightly less rye than the 123rd Classic edition of 2016. 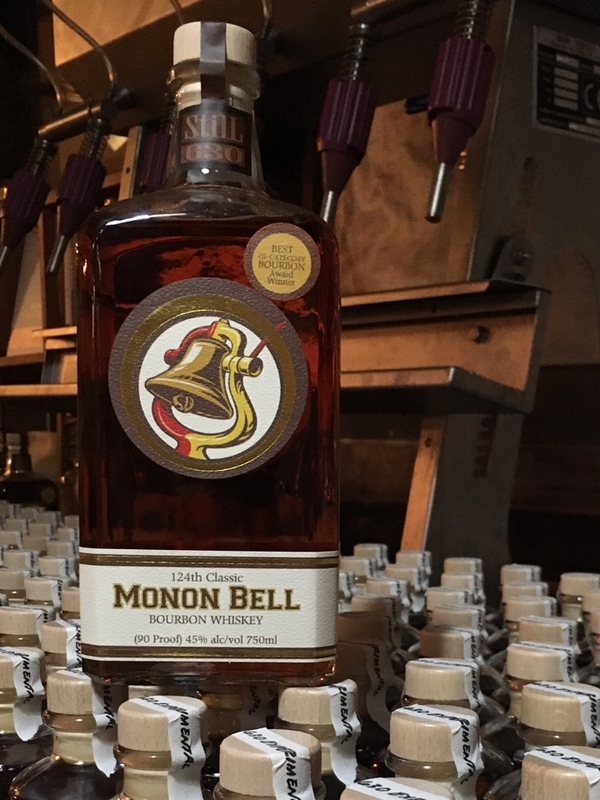 If you're unfamiliar with our big award-winning Monon Bell Bourbon, check it out HERE. Regardless, on Friday November 3rd, 2017, we will release both X-5 and Monon Bell Bourbon only at the distillery! As always, our First Fridays are totally free and start at 6:30pm. See you Nov 3rd! !